Pink eye, also called conjunctivitis, is one of the most frequently encountered eye infections, particularly in children. This condition can be caused by a virus, bacteria or even allergies to pollen, ingredients found in cosmetics, and chlorine in swimming pools, or other chemicals, which penetrate your eyes. Certain kinds of pink eye can be quite transmittable and swiftly spread at school and in the office. This type of infection ensues when the thin clear layer of tissue lining the white part of the eye, or conjunctiva, gets inflamed. A sign that you have the infection is if you notice eye discharge, itching, redness or swollen eyelids and eyes that are crusty in the morning. Symptoms of pink eye may occur in one or both eyes. The three basic kinds of pink eye are: viral, bacterial and allergic conjunctivitis. Viral conjunctivitis is often a result of a similar virus to that which produces the recognizable watery and red eyes, sore throat and runny nose of the common cold. The red, itchy, watery eyes caused by the viral form of pink eye can stick around for a week to two and then will clear up on their own. Applying compresses to your eyes in a dark room may provide some relief. Viral pink eye is contagious until it is completely cleared up, so meanwhile, wipe away discharge and avoid sharing pillowcases or towels. If your son or daughter has viral pink eye, he or she will have to stay home from school from school for three days to a week until they are no longer contagious. A bacterial infection such as Staphylococcus or Streptococcus is usually treated with antibiotic eye drops or cream. 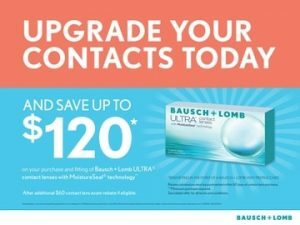 Usually one should see an improvement after three or four days of treatment, but be sure to adhere to the full prescription dosage to stop conjunctivitis from coming back. Conjunctivitis caused by allergies is not contagious. It usually occurs among people who already suffer from seasonal allergies or allergies to substances such as pets or dust. The red, itchy, watery eyes may be just one aspect of a larger allergic response. First of all, to treat allergic pink eye, you should remove the irritant. Try cool compresses and artificial tears to relieve discomfort in mild cases. When the infection is more severe, your eye doctor might give you a prescription for an anti-inflammatory or antihistamine. When the pink eye lasts for an extended period, steroid eye drops may be used. In all instances of conjunctivitis, being sure to maintain proper hygiene is the best way to prevent it from spreading. Try not to touch your eyes, and if you do, make sure to clean your hands thoroughly. Although conjunctivitis is often a highly treatable condition, it can sometimes develop into a more threatening problem. If you notice symptoms of pink eye, be sure to have your optometrist examine you so he or she can determine how to best to treat it.